Lamar Advertising Companies is a service provider of transit advertising, highway logo signs and billboards. It currently has operations in more than 150 advertising companies outdoor in over 40 states and Puerto Rico. It has more than 70 transit franchises across Puerto Rico, United States and Canada maintaining digital signs, billboards as well as advertisements on bus stops, benches and buses. It is also the leading service provider of highway signs in North America which has operations in 19 states and provinces of Canada and Ontario. Lamar Advertising Companies is the largest in the industry in Puerto Rico and United States since 1999. 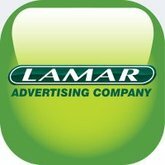 There are currently 0 consumer reviews about Lamar Advertising Companies available. Share your review. Please take a note that you are about to post a public review about Lamar Advertising Companies corporate office on CorporateOffice.com. This review will be public, so please do not post any of your personal information on this website. If you would like to contact the corporate offices of Lamar Advertising Companies, please use their contact information such as their phone number, website, and address listed above to contact them. However, sometimes staff from Lamar Advertising Companies headquarters do read the reviews on this website.